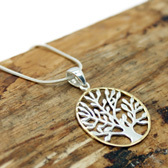 A stunning pendant and chain from RP Designs. This well made necklace has a sterling silver finely detailed tree of life cased in a round gold plated circle on a 42cm / 16.6inches sterling silver chain with a lobster clasp. 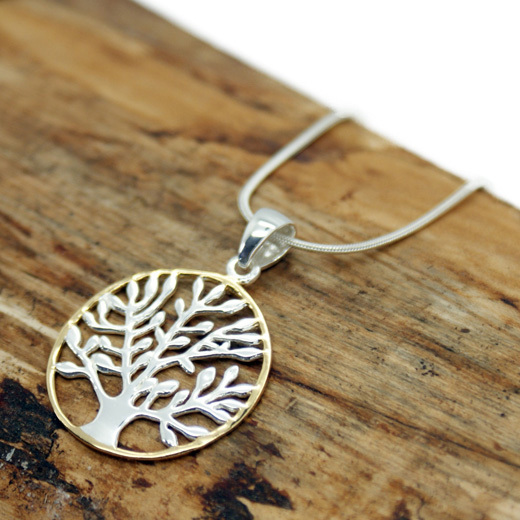 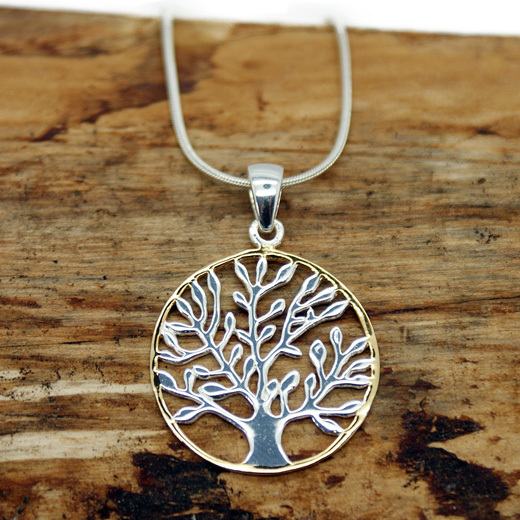 The tree pendant represents the strength and unity of the family bond. 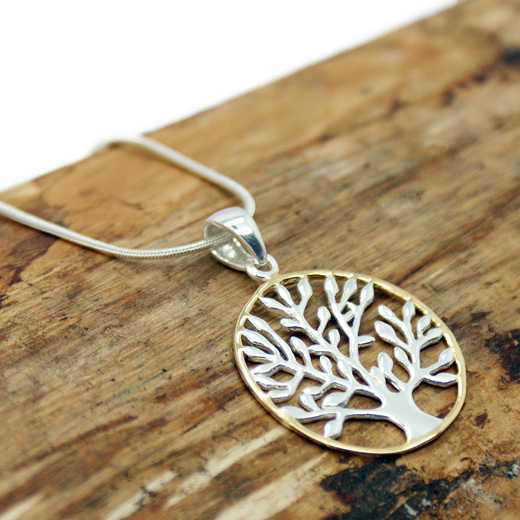 A timeless piece of jewellery, it will complement any outfit from day to night. 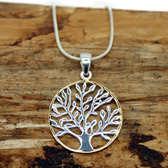 We also have earrings to match this necklace here.